Theralase® is a clinical stage pharmaceutical company headquartered in Toronto, Canada. 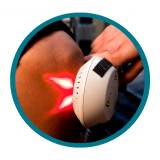 Design, manufacture and distribution of patented and proprietary super-pulsed CLT for the treatment of knee pain, and in off-label use, the treatment of numerous nerve, muscle and joint conditions. Focused on the research and development of light activated Photo Dynamic Compounds and their associated drug formulations intended to safely and effectively destroy various cancers. Proven safety and effectiveness of CLT via a blinded randomized controlled clinical study in the treatment of knee pain. Theralase® has 15 issued patents for its CLT and PDT Divisions covering its core technologies, as well as an additional 34 patents pending. The experienced management team has teamed up with scientific researchers, chemists, physicists and medical doctors from renowned research hospitals and academic institutions around the world to focus on developing cutting-edge technologies able to destroy cancer and eliminate pain. 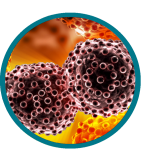 "Many solid cancers are going to be treatable with this technology. There are many other opportunities here."